Paris Community Theater Presents Joseph and the Amazing Technicolor Dream Coat. The biblical story of Joseph and his coat of many colors comes alive in the musical retelling. Joseph -- the favorite son of Jacob -- is blessed with vivid dreams that foretell the future. Sold into slavery by his jealous brothers, Joseph endures a series of adventures which challenge him to his core. Soon he finds himself belonging to Potiphar, whose wife makes advances toward Joseph and ultimately land him behind bars. However, news of Joseph’s ability to interpret dreams sparks the interest of the hilariously Elvis-like Pharaoh. Soon, Joseph is out of jail and well on his way to second-in-command. Eventually, Joseph’s brothers find themselves unknowingly groveling at the feet of the brother they betrayed. As they fail to even recognize him, Joseph tests their integrity. He ultimately reveals himself and the brothers are reconciled. 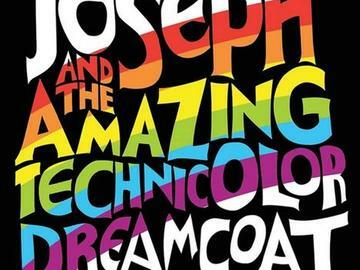 A truly timeless Old Testament tale, Joseph and the Amazing Technicolor Dreamcoat is set to a multitude of musical genres, spanning from country-western and calypso to bubble-gum pop and rock and roll.